Please see attached PDF file for this week’s newsletter. Students in school up to and including Tuesday, June 14th. Students show up to write their exams during the examination period. Students can remain in school and attend study hall in the cafeteria. Should a student elect to go home after writing their exam they require parental consent. Please write a note granting permission. Buses will run normal hours. On Thursday, June 23rd, students to attend school regular time. The year-end assembly will take place later in the AM followed by distribution of report cards then dismissal for the summer. June 20 – 22 will encompass classroom and locker cleanup, textbook collection and compiling, clean up of school grounds, academic intervention/decisions for summer school and programming for next year and other school related issues. Students who are present often help with year-end items. Please see attached PDF document for this week’s newsletter. Great day! Great students! Any fly dope? 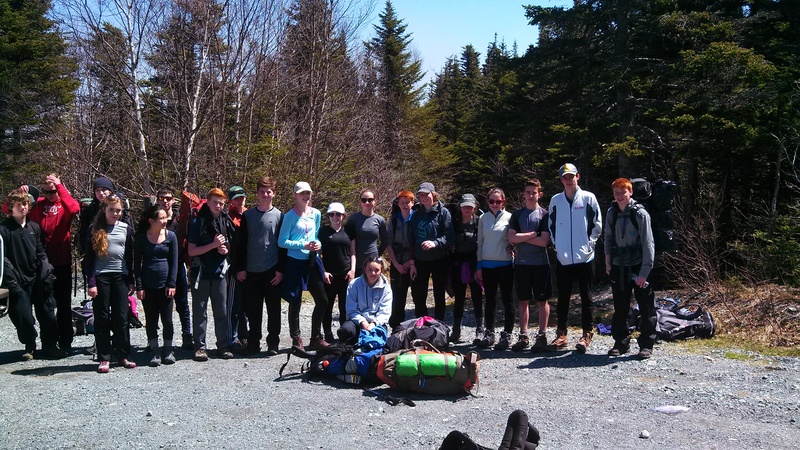 Congratulations to participants of MDJH who completed the Duke of Edinburgh Bronze Qualifying Hike from Witless Bay to Lamanche on the East Coast Trail this past weekend (May 14th – 15th). Thank you to Mr. Porter, Mr. Keats, and volunteer parents on a safe and successful weekend.